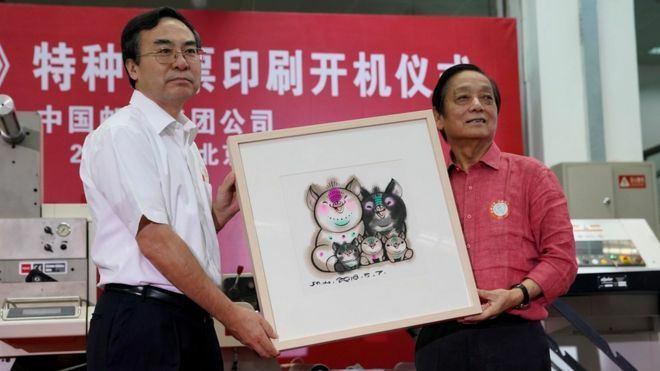 Postage stamps unveiled earlier this week to mark the incoming Year of the Pig in February 2019 have led many social media users to question whether a loosening of family planning restrictions could be imminent. The stamps show a parent pig couple and three piglets. On the surface, it hardly appears to be a policy announcement. But users on the popular Sina Weibo microblog have pointed out that two years ago, before the one-child policy was abolished, China issued Year of the Monkey stamps featuring two baby monkeys. And in recent months, the Chinese government has been strongly encouraging couples to have more than one child. Local authorities have even been offering incentives, such as tax breaks, and education and housing subsidies. This entry was posted on Friday, August 10th, 2018 at 1:16 pm	and is filed under AP China. You can follow any responses to this entry through the RSS 2.0 feed. Both comments and pings are currently closed.